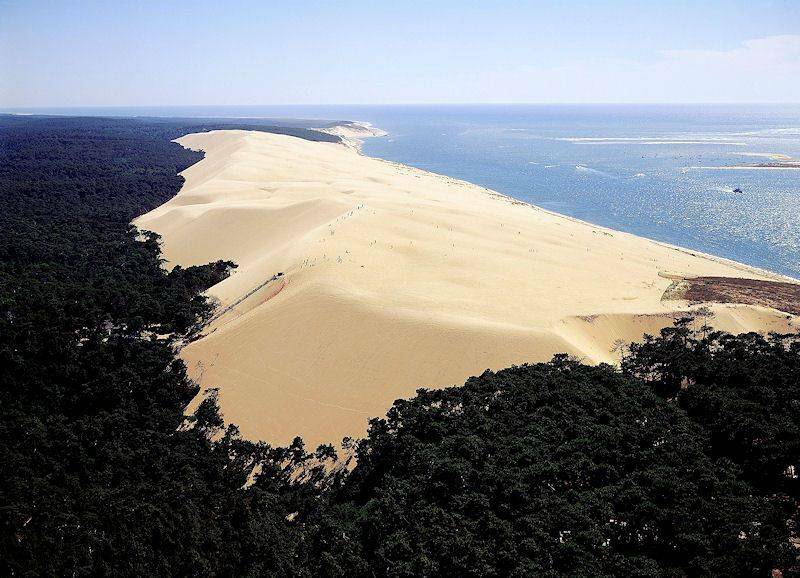 At the entrance to Arcachon Bay, 40 minutes from La Canadienne campsite, the Dune du Pilat (or Pyla) is the highest dune in Europe, 110 m high, 500 m wide and 2700 m long - with 60 million square metres of sand! 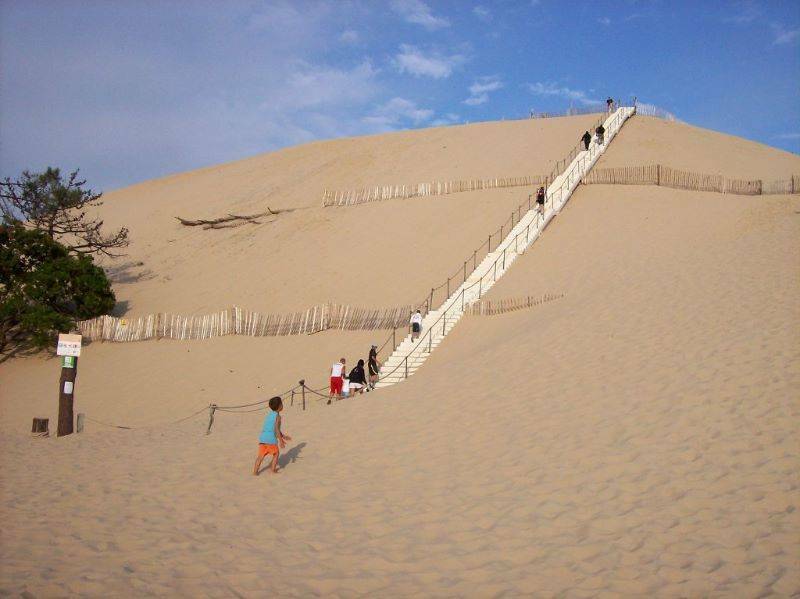 Several paths lead up to the top, where visitors can enjoy an exceptional panorama over the forest, the Banc d'Arguin and the Atlantic Ocean. These incredible landscapes are not to be missed if you want to get an idea of the beauty of the area and admire the Gironde from a high vantage point. 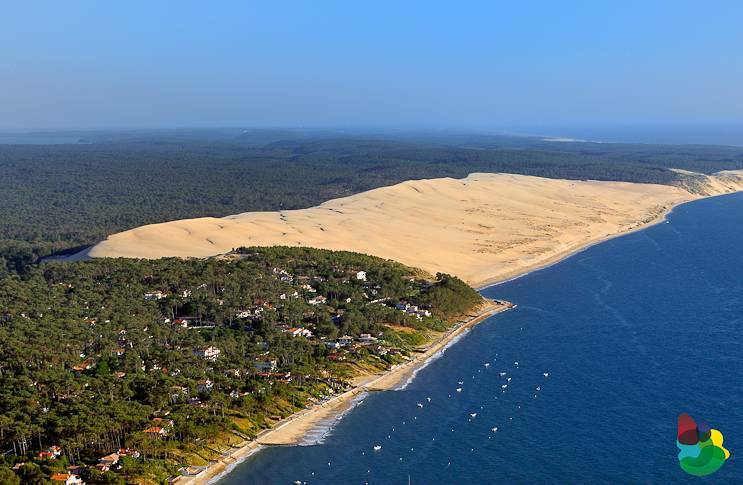 If you like thrills or spectacular landscapes, you can try your hand at paragliding and get a bird's eye view of the Dune du Pilat. Take a stroll over the dune at the end of the day and you'll get a spectacular view of the sunset! We recommend trying out this unique experience, which always leaves lasting memories, particularly for children.